A methodology for microgrids design in non-interconnected zones of Colombia is proposed in this paper. The microgrid design is carried out following the Colombian electrical normativity. The stages of the methodology are: collection of the field information, evaluation of renewable and nonrenewable resources, load profile estimation, sizing of the generators, design of microgrid topology, and electrical analysis. The size of conductors is selected according to NTC 2050. A study case is presented, where the region of Taroa, in the Department of Guajira, is selected. Taroa is located in a not interconnected zone of Colombia. From meteorological information of the zone and the load analysis, the generation equipment is selected using the software HOMER. The voltages on the microgrid are computed applying power flow analysis using the software Power System Analysis Toolbox. The generators are represented with reduced models to streamline the design. The voltage variations in the buses of the designed microgrid are in the 3% of the nominal voltage. 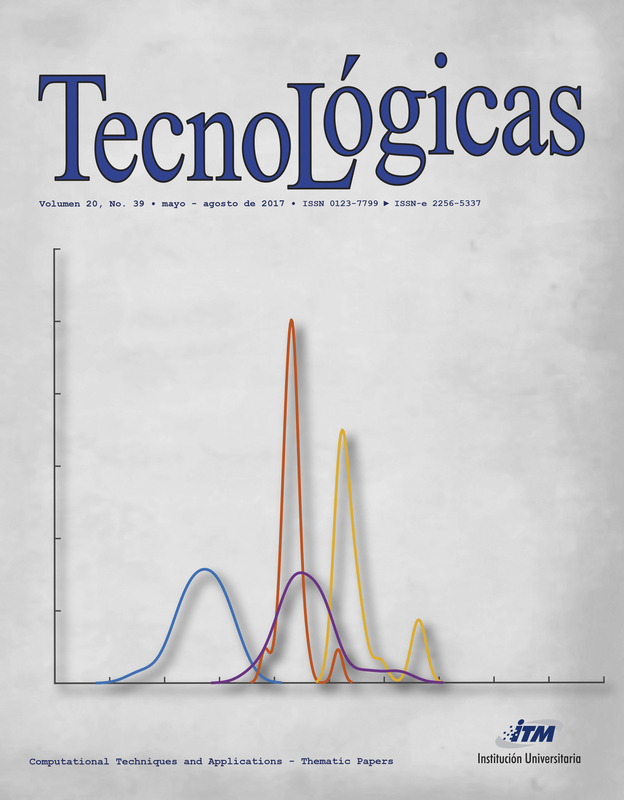 This variation range is defined in Reglamento Técnico de Instalaciones Eléctricas (RETIE). Simulation results, using actual data, assess the feasibility of the proposed methodology. C. W. Shyu, “Ensuring access to electricity and minimum basic electricity needs as a goal for the post-MDG development agenda after 2015,” Energy Sustain. Dev., vol. 19, pp. 29–38, 2014. E. E. Gaona, C. L. Trujillo, and J. A. Guacaneme, “Rural microgrids and its potential application in Colombia,” Renew. Sustain. Energy Rev., vol. 51, pp. 125–137, Nov. 2015. R. S. C. Ximena Barrera, Roberto Gómez, El ABC de los compromisos de Colombia para la COP21, 2nd ed. Santiago de Cali: WWF-Colombia, 2015. U. de P. M. E.-U. Ministerio de Minas y Energía, Plan Indicativo de Expansión de Cobertura de Energía Eléctrica 2013 - 2017, 1st ed. Bogotá D.C., Colombia: Strategy Ltda., Legis S.A., 2014. C. A. Juan Ramón Camarillo-Peñaranda, Andrés Julián Saavedra-Montes and Ramos-Paja., “Selección de lugares para instalar micro-redes en Colombia,” CIDET, vol. 10, pp. 9–19, 2014. K. Tanaka and K. Maeda, “Simulation-based design of microgrid system for a resort community,” in Clean Electrical Power (ICCEP), 2011 International Conference on, 2011, pp. 28–34. T. Ma, H. Yang, and L. Lu, “A feasibility study of a stand-alone hybrid solar–wind–battery system for a remote island,” Appl. Energy, vol. 121, pp. 149–158, May 2014. M. F. Z. Souza, “On rural microgrids design - a case study in Brazil,” in Innovative Smart Grid Technologies Latin America (ISGT LATAM), 2015 IEEE PES, 2015, pp. 160–164. T. Ma, H. Yang, L. Lu, and J. Peng, “Optimal design of an autonomous solar–wind-pumped storage power supply system,” Appl. Energy, vol. 160, pp. 728–736, Dec. 2015. I. de P. y P. de S. E. para las Z. N. I.-I. Ministerio de Minas y energía, “Planes de Acción 2014,” Bogotá D.C., Colombia, 2014. J. Driesen and F. Katiraei, “Design for distributed energy resources,” IEEE Power Energy Mag., vol. 6, no. 3, pp. 30–40, May 2008. COMISIÓN DE REGULACIÓN DE ENERGÍA Y GAS - CREG, “Resolución CREG091-2007,” Diario Oficial No. 46.881 de 24 de enero de 2008, 2007. [Online]. Available: http://apolo.creg.gov.co/Publicac.nsf/1c09d18d2d5ffb5b05256eee00709c02/0816582ddafcf8110525785a007a6fa4?OpenDocument&Highlight=0,NoResolucionCREG091-2007. [Accessed: 20-Jun-2001]. U. de P. M. E.-U. Ministerio de Minas y Energía, “Resultados PIEC 2013-2017,” Strategy Ltda., Legis S.A., Bogotá D.C., Colombia, 2012. Dirección de Inversiones y Finanzas Públicas - DNP, “Inversiones y finanzas públicas,” Bogotá D.C., Colombia, 2015. NASA, “Surface meteorology and Solar Energy (SSE) Data and Information.” [Online]. Available: https://eosweb.larc.nasa.gov/project/sse/sse_table. [Accessed: 20-Jun-2005].